Intuitively, it may seem like keeping as many names as possible in the sales pipeline would be the way to go. The more leads you have, the more sales you will make, right? Not necessarily. Without nurturing your database, engaging subscribers becomes less and less effective. Nurturing means understanding where in the sales journey your potential customer is and communicating to move them to the purchase stage. Without a system, nurturing your dealer database properly becomes nearly impossible. You simply end up sending the same message to everyone. Without engaging, personalized and consistent content your database may wither on the vine. It is extremely important to add multiple ways of communicating, but even more important to communicate the right message at the right time. Your database is not made up of only in-market buyers. That’s why you need to nurture! Follow these tips to nurture your dealer database so that you can focus your attention on the right potential customers. 1. Develop a clear, well-defined protocol for lead nurturing. Lead nurturing requires regular follow-up contact with potential customers. Create a protocol your salespeople can use to work and encourage all of the leads within the database. Be sure to include a time frame for each action. For example, you may instruct the team to call leads within 24 hours of their expressed interest. Various statistics say you have less than an 80% chance of connecting if you don’t respond within 5 minutes! Understanding the journey of your customers and buying cycles starts with watching it, then working it. Categorize any lead you add to the list based on the likelihood of the conversion. For example, you may categorize some leads as very likely to make a purchase, while others may be showing only marginal interest in purchasing a vehicle from your dealership. Lead scoring allows you to determine which type of information this particular lead should receive. Scoring your leads allows reps to focus on prospects most likely to buy. Ongoing content touches can keep the conversation going with the rest. For example if a prospect just started the process, then the score is low and educational content is more appropriate. If they are a high scoring lead, ready to proceed more quickly, then relevant content sent could be about closing the sale i.e. low loan rates, special financing, incentives to buy now, etc. 3. Lukewarm is better cold. Some leads are not ready to make a purchase right now, but may decide to do so in the foreseeable future. 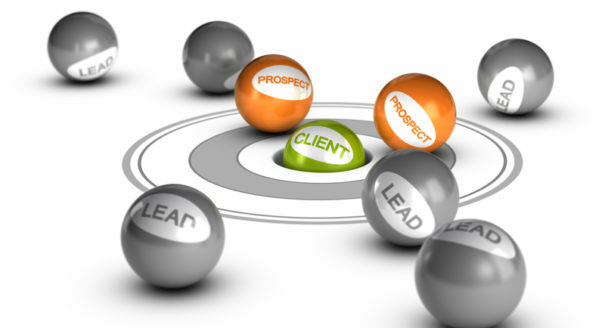 While these leads should not take up your sales reps’ time, they do deserve to remain in your pipeline. For instance, if you follow up with a lead who tells you that he or she has decided to wait until next year to purchase a vehicle, score the lead and put them in the nurturing pipeline. The nurturing pipeline should consist of potential buyers who have yet to decide on the type of vehicle and/or dealership. These are exactly the kinds of prospects that need information and helpful advice! Send educational information and what whether they interact. When they do, it is time to modify their score and move them through the journey to buy.